"... a composer of exceptional gifts." "McCabe\'s music communicates with an expressive fervour that easily holds the listener in its thrall over nearly two hours ... It\'s not just the superbly judged orchestration (colourful extras include triple woodwind and electric guitar) and a wealth of memorable invention that impress. Above all, it's McCabe's ability to forge his tightly knit material into a dramatically convincing and organically coherent whole that marks him out as a composer of exceptional gifts." "There have been few full-length ballet scores as powerful and approachable as this since Prokofiev and Britten. It inspires Barry Wordsworth and the Royal Ballet Sinfonia to a vivid performance ... The score is atmospheric and symphonic, telling the story in mood and action, drawing on medieval sources for themes and evocative fanfares." 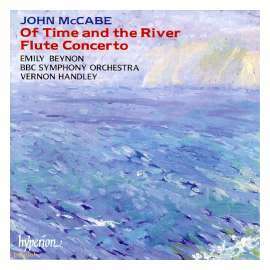 "... the finest disc yet of the music of John McCabe ..."
"This is the finest disc yet of the music of John McCabe, 60 this year ... Of Time and the River ... is a magnificent work ... The idiom is warmer and more approachable than in McCabe's earlier music, echoing Britten and Sibelius in its atmospheric orchestration and melodic lines, while remaining distinctive and new." "There's something Sibelian about this symphony's utterly inevitable, ever-evolving progress: behind the frequently prodigal surface activity, one is always acutely aware of the inexorable tread of a grander scheme ... there's a magnificent passage in the second movement (from around 0'36" into track 8 up to the end of track 9) that even put me in mind of Vaughan Williams at his visionary best - high praise indeed! Yet McCabe's score possesses a strong individuality, formal elegance and abundant integrity too." "An altogether exemplary reissue, not to be missed..."
"All three works rivetingly proclaim McCabe's very real mastery of the orchestra as well as his enviable ability to write both cogently and communicatively without any hint of compromise or condescension. "... The Chagall Windows exhibits a truly symphonic purpose throughout its 12 interlinked, beautifully proportioned contrasting sections. "...the hauntingly lyrical song-cycle Notturni ed alba was first heard at the 1970 Three Choirs Festival ... it remains an intoxicating creation, full of tingling atmosphere and slumbering passion. 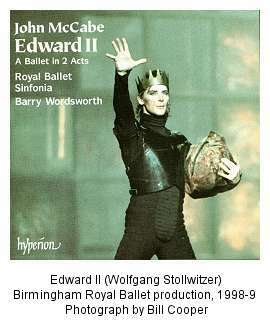 "...the Second Symphony is yet another one-movement structure of uncommon elegance and dazzling orchestral resource. "An altogether exemplary reissue, not to be missed." "Here is music of enormous integrity and genuine staying power..."
"Here is music of enormous integrity and genuine staying power from an underrated British master, impeccably realized on this occasion by artists and production crew alike. "All in all, a very strong recommendation." "Richly coloured and incisive, these three string quartets by John McCabe each possess a distinct character, seized on with alacrity by the Vanbrugh Quartet..."
"The Vanbrugh Quartet give excellent performances of McCabe's imaginative and memorable quartets..."
"John McCabe has a sharp ear for colour and a natural performer's instinct for what works on different instruments. His String Quartets, though remarkable for their imaginative structures and sense of inevitable logic, are also full of beautiful and original scoring. 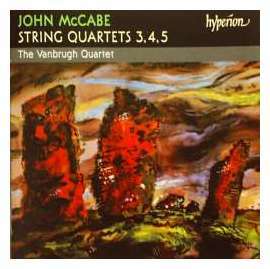 "...the Vanbrugh Quartet give excellent performances of McCabe's imaginative and memorable quartets." 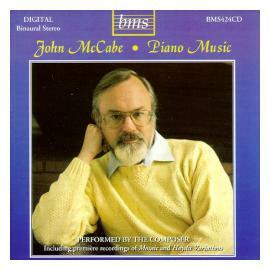 "McCabe's playing is a pleasure in itself and the recording is first class..."
"John McCabe is a composer whose technique, often based on prodigiously inventive use of variation, is so audible that once you get the hang of it (which doesn't take long) it becomes compulsively listenable. In his keyboard music this is aided by the fact that he's a stunning pianist, not above enjoying virtuosity and grand keyboard gestures from time to time. "McCabe's playing is a pleasure in itself, and the recording is first class." 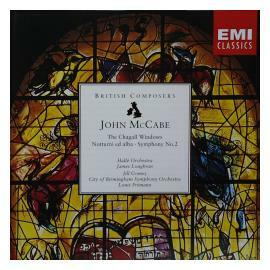 "... a must for all McCabe and British music enthusiasts"
"This is an exceptionally fine issue celebrating John McCabe's 60th birthday, that not only serves as a superb tribute to McCabe the composer, but also his prowess as pianist and interpreter. "Good recorded sound: a must for all McCabe and British music enthusiasts."